Should you offer discounted tickets? 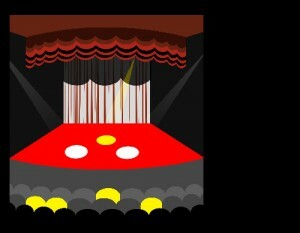 Key – yellow dots in the audience are Deaf audience members, while a yellow dot on stage is the BSL interpreter. White dots on stage are the actors. There are many styles of interpreting for theatre, below are just a few of them. This is known as the ‘conventional approach’, where the interpreter is placed towards the side of the stage. This occurs mainly on the main stage, musicals and for larger productions. For a Deaf audience, watching this kind of style means they have to split their focus between the action on stage and the interpreting at the side. Some theatre companies integrate the interpreter into their production. The interpreter can ‘shadow’ the actors, wear a costume, or even be projected using multi media technology. They can be a character or part of a comedy act. Including sign language in the show makes a big difference. In this case, the director of the play will collaborate with the BSL interpreter to create something innovative. If you take this option, it’s highly recommended that you have a Deaf advisor or a Deaf actor on board to help you get this just right. Team Interpreting when two or more theatre interpreters are on stage. This style is suitable when there are many characters on stage or when the performance is site- specific and there is more than one performance space. The theatre interpreters will share the characters and/or may shadow allocated actors each. Who they shadow could be based on the actors’ gender, age or nationality. 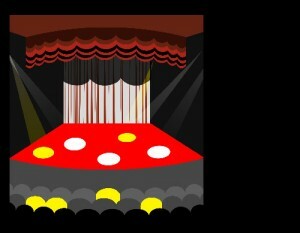 This style of theatre interpreting is mainly used in the United States and Australia. This style occurs when a production features Deaf actors using sign language. The theatre interpreters watch the Deaf actors sign and interpret this into spoken English so that hearing audience members can follow the show. It is important for theatre venues to offer a variety of different theatre interpreters to reflect the diversity of their artistic programme – rather than simply using the same interpreter all the time. 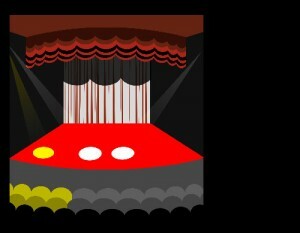 In the USA and Australia, auditions are held with some Deaf artists on a panel- so that the right theatre interpreter is suited to the right show. Perhaps this is something your venue may be interested in doing. Traditionally, interpreters wear black/dark clothing on stage, but they could wear costume that matches the cast of the play if appropriate. Ensure there is adequate stage lighting for the sign language interpreter, ensuring that the top half of their body is clearly lit, with no shadows on their face.